Monument of general Maczek in Edinburgh! Scots will honor general Maczek. They will erect a monument to him in the heart of Edinburgh. The Edinburgh authorities want the soldiers of Maczek to take part in the unveiling of the monument. 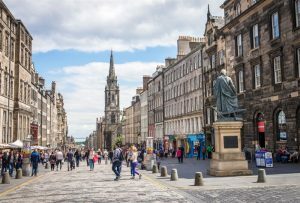 Monument will stand on the courtyard of the City Council on the famous Royal Mile. Designed by a Polish artist Bronisław Krzysztof, a bronze sculpture – presenting Maczek sitting on a bench – will be financed from a public collection, which can be supported e.g. through a website www.paypal.me/generalmaczek. Until now, more than half of the required sum has been collected – about 50 thousand out of 85 thousand pounds. One of the trustees of the foundation responsible for the project, Katie Fraser, informed in a sent to media statement, that she “is very grateful to everyone for the given support until now”. She underlined that she hopes that the monument will be erected „still in the lifetime of some men who we want to honor”. The sculpture will stand on the Royal Mile in the heart of Edinburgh, close to the memory stone, where in November wreaths are laid, commemorating all veterans, who fought for the freedom of Great Britain. 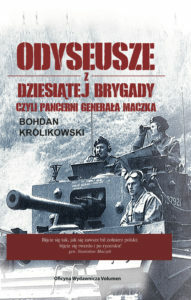 Gen. Stanisław Maczek in years 1945-1947 dowodził I Korpusem Polskim in Scotland. Earlier, during war actions his soldiers became famous through their efficiency in battle of Falaise (1944), and they also took part in the operation D-Day (1944) and liberated towns in France, Belgium and the Netherlands. In 1946 with the decision of the dependent on USSR Provisional Government of National Unity Maczek was deprived of the Polish citizenship. This decision was finally repealed in 1989, and afterwards president Lech Wałęsa awarded to the general the highest Polish distinction, Medal of the White Eagle. After the II World War and demobilization Maczek settled in Edinburgh. Due to lack of veteran status he did not have rights to government services and he took up various jobs. He was e.g. barman in Eddleston Hotel. He died in Edinburgh on the 11 December 1994, aged 102. Buried in the cemetery of Polish soldiers in Breda, Netherlands – city, of which he had become a honorary citizen. During the II World War in Scotland quartered about 20-25 thousand Polish soldiers. Most of them remained there also after the battles had ended. Since 2015 in Edinburgh stands a monument of Bear Wojtek, a Syrian bear, which was adopted by Polish soldiers led by gen. Władysław Anders, and after the war he lived in Edinburgh Zoo. Poles are currently the biggest national minority in Scotland, according to the recent estimations, with a population of over 100 thousand.